Steve Alten's MEG novels feature the sort of premise that any former 6-year-old can get behind: What if prehistoric sea monsters were still very much alive, only trapped behind naturally occurring cold-water barriers? You can just imagine them down there in their hydrothermally heated prison waters, bustling to break free and feast on our Disney Cruise Lines. Imagine no longer, nerds, because these cold-water prisons exist -- and our remote-control submarines have returned with photos. Researchers with the University of Oxford, University of Southampton and British Antarctic Survey recently sent a remotely operated vehicle (ROV) down into the lightless depths of the East Scotia Ridge, a hotbed of hydrothermal vents located halfway between Antarctica and South America's Cape Horn. There, 1.5 miles beneath the waves, they spotted new species of yeti crabs*, starfish, barnacles, sea anemones and an unidentified white octopus. 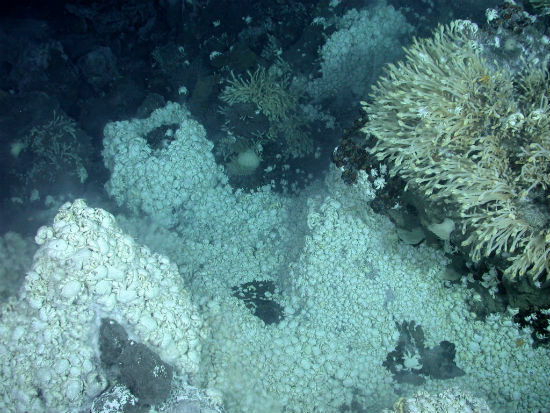 The team's findings, published in the journal PLoS Biology, emphasize the biodiversity of deep-sea hydrothermal vent communities -- but it's what they didn't find that steers the story into MEG territory. 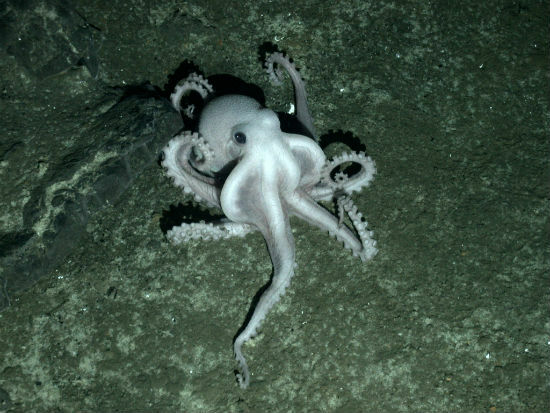 Tubeworms, vent mussels, vent crabs and vent shrimp known to haunt other hydrothermal vents were suspiciously absent. This omission, according to team leader Alex Rogers of Oxford, suggests that the Southern Ocean's chilly water serves as a cold-water barrier against species of a wider world. Geographical and hydrological barriers frequently meddle with gene flow in the world's oceans, at times resulting in the coevolution of morphologically similar organisms -- or "cryptic species" -- on either side of the Southern Ocean's abysmal seafloor chasms. Luckily for humanity, the denizens of East Scotia Ridge are not only contained but also somewhat diminutive. Despite their intimidating "yeti" moniker, the new species of Kiwa crabs are mere centimeters in length and seem content on a diet of bacteria and mussels. For now, our Disney Cruise Lines are safe. * A relative of the furry lobster featured on the back of John Hodgman's book The Areas of My Expertise.